What is the most economical way to heat and cool homes in Texas? How do heat pumps work and how much do they cost? How can you lower your heating bills? Your air conditioner, whether it’s a central system, a ductless mini-split unit or a packaged HVAC system, works through condensation and evaporation of a refrigerant. 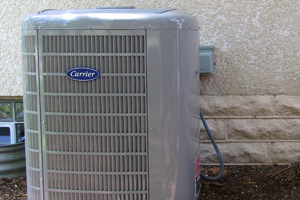 The system uses a compressor to condense and liquefy the refrigerant in the outdoor condenser coil. Then, indoors, an evaporator coil extracts heat from inside the home, using an evaporator coil. In a heat pump, that process is reversed. A reversing valve, triggered by your thermostat, turns your indoor coil into a condenser coil and the outside coil into an evaporator coil. By extracting heat from outdoors through the refrigeration cycle, it warms the indoor coil, heating your interior spaces. Even in low outdoor temperatures, the power of the compressor does most of the work. It’s a revolutionary way to heat your home that is growing more popular every year with Texas homeowners. It takes far less electricity to operate an air conditioner and heat pump compressor than to power an electric furnace or wall heaters. Since the refrigeration cycle extracts heat from the outside air, even in cold weather, you save part of the cost of electricity when the heat pump is operating. It uses up to 66% less electricity than resistance heaters. That can cut your electric bills substantially. The new modern technology is a big money saver, provides more even comfort and reduces wear and tear on your furnace. Even in Texas, there are some days during the winter when it’s too cold for the heat pump to efficiently keep your home comfortable. On those days, your gas furnace or electric heating system kicks in and takes over. A special thermostat, designed for these hybrid residential HVAC systems, seamlessly selects the most cost-effective heating method and also controls your air conditioning in the warmer months. All you have to do is set the desired temperature and the system does the rest. Programmable thermostats let you customize your schedule throughout the week. You benefit from outstanding comfort and save money on your energy bills. Whether you’re replacing an existing AC system in your home or installing a system in a brand new home, making the choice of a heat pump system has become very popular throughout Texas. They are available from all manufacturers, including Lennox, Bryant, Carrier, Ruud, Rheem, Daikin, Goodman, Amana, Trane and more. They are available in all configurations and can be installed quickly. Your HVAC contractor can show you a full range of options that are an ideal match for your home and budget. Every year, more and more Texans are opting for the money-saving convenience they offer. What Is the Cost of an Air Source Heat Pump? How much does heat pump technology cost? The initial purchase and installation cost is higher than the AC-only version of the same model. Additional equipment is built into the outdoor unit. That additional initial cost, however, is more than offset by energy bill savings over the lifetime of your system. Your contractor can help you calculate the potential saving you’ll enjoy, based on your home’s design, the average winter temperatures where you live and other factors. By making a thoughtful comparison, you’ll be able to make the best choice for you and your family. For most homes in the Houston, Dallas, Fort Worth and San Antonio areas, choosing a heat pump instead of just an air conditioner makes great economic sense. Is Heat Pump Technology Right for Texas? Answering this question requires careful consideration of many factors. If you’re installing a new or replacement air conditioning system or a ductless mini-split AC system or packaged heating and AC unit, you’ll want to consider how much you can save by choosing a heat pump version. In every type of home comfort system, the initial cost of opting for this upgrade is somewhat higher than for air conditioning alone. Installation costs, though, are about the same. Your local Texas air conditioning company or contractor can help you calculate how much you’ll save on your energy bills with a heat pump. With that information, you’ll be able to make an informed decision. Every manufacturer of central air conditioners and packaged heating and cooling systems offers heat pump versions for most models they offer, including Carrier, Bryant, Daikin, Trane, Goodman, Lennox, Rheem, Ruud, Amana, Comfortmaker and American Standard. The additional cost for the heat pump upgrade varies, but the cost of installation will not be much more than an AC-only model. It’s easy to calculate your savings, by comparing your energy costs per year for both systems. Over the lifetime of the system, those annual savings will almost always be much more than the added cost of the equipment upgrade. Any Texas air conditioning company in our directory will be happy to help you with those calculations and show you how much you can save. In most Texas homes that don’t have ductwork and central heating and air conditioning, ductless mini-spit AC technology is the ideal way to cool the home without using ugly, wasteful window units. Those same homes usually use electric resistance heating during the winter months. By choosing the heat pump option for your ductless mini-split AC system, you can save up to 2/3 on your home heating energy bills except during extremely cold weather. You’ll typically recover the extra initial cost of heat pump technology very quickly. Installation costs are the same with either system. Most Texas homeowners are surprised at how much those energy savings will be when their local AC contractor does the calculations. Consider your options and savings carefully. When you’re planning to invest in a new or replacement home AC system, you have many decisions to make. It can be complicated. Most Texas homeowners aren’t HVAC experts. That’s why you should rely on a trusted contractor in your community to help you with accurate, objective information on your choices. We hope to help you find a reliable and reputable company across Texas, from Galveston, Pasadena and Sugar Land to Bellaire, Crosby and Splendora in the Houston Metro, from Azle, Desoto and Mckinney to Lewisville, Duncanville and Irving in the Dallas Fort Worth Metro, and from Seguin, Redwood and Jourdanton to Hondo, McQueeney and Helotes in the San Antonio Metro. You’ll also find plenty of the information you need right here on this website. Ask for a free, no-obligation consultation in your home from one or more experienced contractors. Their representatives will be happy to show you a wide range of options, do the calculations and give you price quotes to help you with your decision. Armed with accurate information, you’ll be able to make a decision that represents true value over time for your investment.